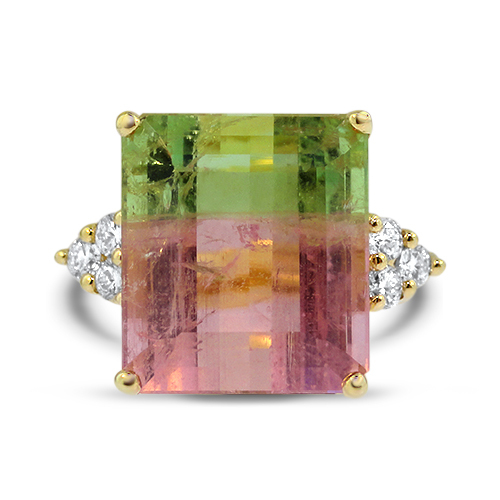 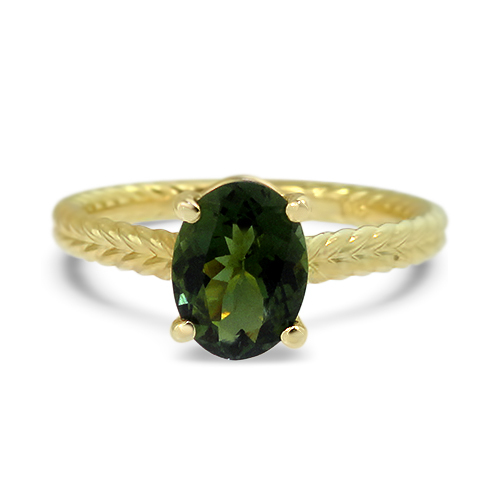 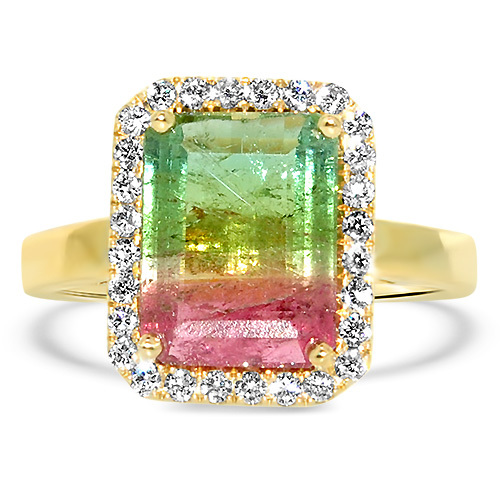 3.11ct Watermelon Tourmaline Prong set in 18K Yellow Gold Ring with 0.25cttw Diamond Halo and plain shank. 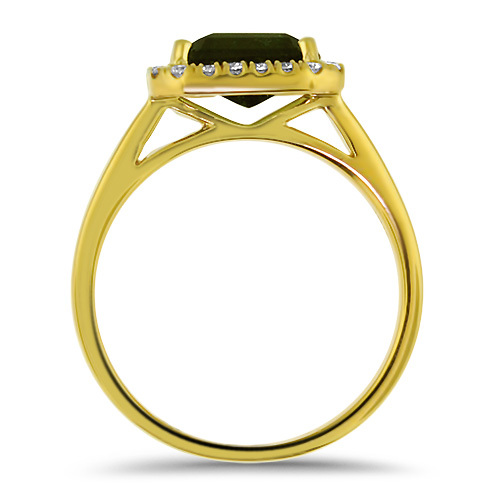 *Also available in white gold. 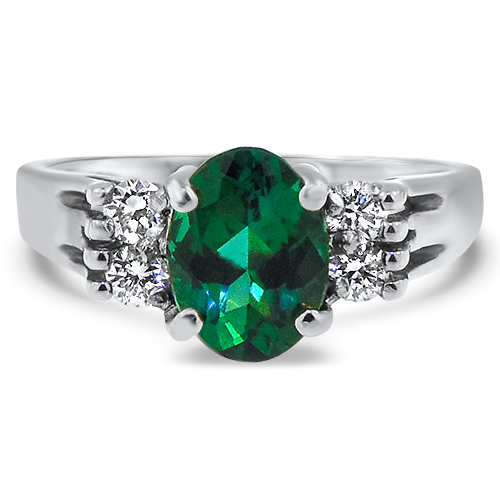 The item is in stock and ready to ship, usually the same day.